In what appears to be another Russell Hantz-engineered blind side, "Coach" Benjamin Wade was exiled Thursday night from "Survivor: Heroes vs. Villains." But it also appears that the master manipulator himself was outfoxed by Sandra in her desperate bid to save herself and Courtney, the slowest and weakest at physical challenges, at the Villains' tribal council. After her tribe lost both reward and immunity challenges, Sandra feared that she and Courtney would be targeted so she devised a plan to convince Russell that Coach was gunning for him, thereby ensuring Russell's revenge on Coach. Photos: "Survivor: Heroes vs. Villains"
It all happened according to plan, except in the end Russell voted for Courtney. Why? It was never explained, but perhaps it will become clear in later episodes. What was clear in this episode was the way Russell, who is calling the shots, is choosing the wrong ones to call. 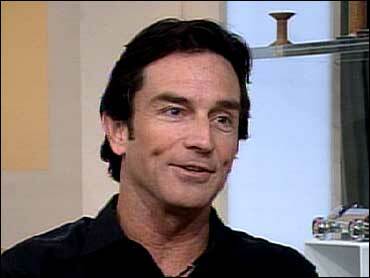 As host Jeff Probst later pointed out at tribal councilm the ouster of strong players makes the team weaker, leading to more losses in the challenges and the need to eliminate more tribe members. Nothing demonstrated this more clearly than the immunity challenge in which tribe members were paired and buckled together to retrieve a flag over a muddy obstacle-littered course. Belted to Sandra, Russell half dragged and half carried his partner across the field, until at the end, she managed to drag him down. On the Heroes beach, JT successfully sets out to find the hidden immunity idol, but Amanda spots him with it and he has to share it with his whole team. Having watched Tyson and Boston Rob get eliminated in back-to-back tribal councils, the Heroes believe a women's alliance is running the Villains' team, a concept that probably will be reinforced when they learn about the ouster of Coach. In fact, in a preview clip, we see JT saying that he will give his immunity idol to Russell, the only man left on the Villains' team. Is that for real? If so, it will go down as one of the dumbest moves in "Survivor" history.